Precision crafted and beautifully detailed, Premium series vinyl replacement windows offer the exclusive features that deliver the superior performance and unique charm your home deserves. Premium Window Series. Built to endure replacement windows with the features, energy efficiency and design options that will perfectly fit your lifestyle, as well as your home. Wood Window Appearance. 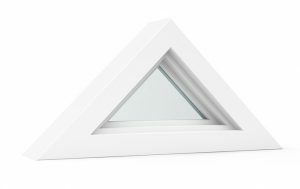 Equal sight lines provide the aesthetics of a traditional wood window. Comfortably Dry. SilLock design features a sloped sill that directs water away from your home and increases weather resistance. Protection from the Elements. Designed with multiple layers of strategically placed weatherstripping for excellent protection against wind and rain. Strong Weather Barrier. Meeting rails feature an integral interlock for enhanced weatherability. Convenient In-Home Cleaning. Both sash tilt-in for safe and easy cleaning from inside your home. Enhanced Security. 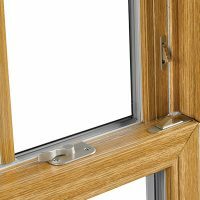 Flush-mounted cam-action locks seal the sash for excellent weather resistance and added peace of mind (Dual standard on windows over 25” wide). Easy Open Design. Both top and bottom sash feature a lift rail for homeowner convenience, while the constant force balance system allows for consistently smooth operation. Secure Ventilation. While ventilation limit latches are engaged the sash can only be partially opened for added security. Optional child safety vent latch also available. Fresh Air. Standard aluminum extruded half screen with fiberglass mesh keeps insects out. Choose your Style. 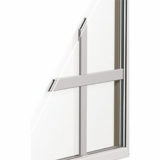 Slider windows are available in 2- or 3-lite configurations for design flexibility. Smooth Operator. Easy glide sash opens and closes smoothly. Weather-resistant. Sash interlock provides a tight seal against rain and wind. Easy Operation. Dual pull/push rails provide easy access to open the sash. Reliable Safeguard. 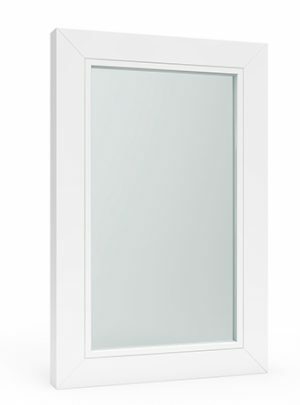 Flush-mounted cam-action locks secure the window and enhance weatherability (Dual standard on windows over 25” wide). Secure Ventilation. When activated, the ventilation limit latches only allow the sash to partially open. Optional child safety vent latch also available. Enjoy the View. Welcome plenty of natural light and a large viewing area. Maximum Fresh Air. 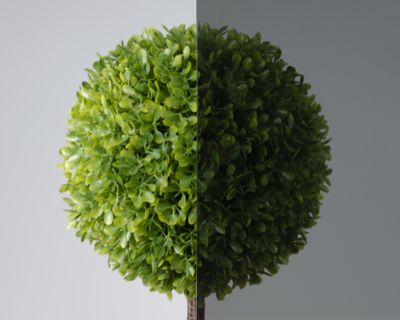 Sash opens up to a full 90 degrees for ample fresh air and allows for simple cleaning from inside your home. Simple Security. The multi-point locking system engages the sash with one easy action while the folding nested handle easily rotates to open the sash. 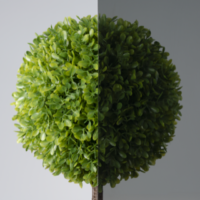 Superior Energy Efficiency. The sash securely closes around advanced perimeter weatherstripping to make the casement one of the most energy efficient windows. Added Endurance. Optional stainless steel hardware increases protection against corrosion in coastal areas. Increased Ventilation. Hinged at the top, the awning window opens outward and can remain open during light rain for fresh air. Convenient Operation. The easy-to-grasp handle allows the window to be opened and closed with one hand. Outstanding Weather Resistance. Virtually eliminate air infiltration with a sash that tightly engages around heavy-duty weatherstripping. Clean Design. 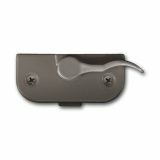 Folding nested handle provides a neat appearance and won’t interfere with blinds or draperies. Comforting Security. Locking levers secure the window at multiple points for convenient security. Wide Open View. Increase daylighting and experience an unhindered view. Design Flexibility. 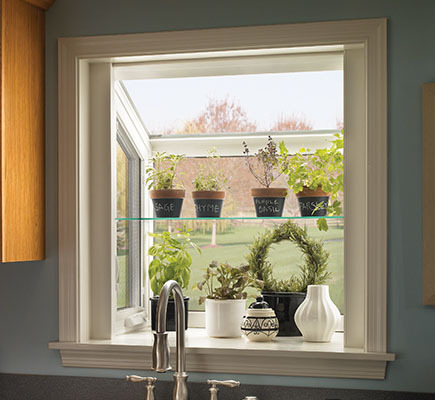 Combine picture windows with operable window styles to create a stunning configuration. Thermal Efficiency. Fixed, non-opening design provides excellent air, water and thermal performance. Perfect Kitchen Window. Interior tempered glass shelf provides a sunlit area for herbs, plants or decorative accents (Standard on units under 50″). Increased Daylighting. Outward-extending design allows sunlight into your home from multiple angles. Added Ventilation. 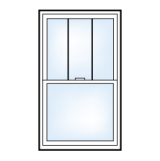 Operating trapezoid casement side windows are easy to open for air circulation. Custom Style. A solid surface seat, in six unique colors, allows you to design a look for your home. Thermal Efficiency. Features a 3″ thick seat board that is insulated with high-density polystyrene and a ¾” exterior grade plywood surface for increased thermal protection. Distinctive Style Element. Architectural shapes add a distinctive look. Create a Combination. Perfectly pair geometric windows with other fixed or operable windows for a unique configuration. Reliable Thermal Performance. Fixed, non-operating style reduces air and water infiltration. Built for Your Home. Custom made to provide an accurate fit for your home. Striking Design. A bay features three windows projecting outward at 45° or 35° angles that add dimension and character inside and outside your home. Interior Space. Creates extra space for decorating or additional seating. Ventilation with a View. 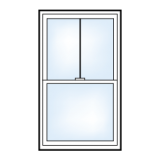 A center Picture window is flanked by either double hung or casement windows for fresh air. Customizable Interior. Window head and seat boards can be finished with a variety of woodgrain or solid color laminate interiors or durable pre-finished wood to complement your décor. Distinctive Seat Board. Add a solid surface seat is available in six unique colors for added appeal. Thermally Enhanced. The 3″ thick seat board is insulated with high-density polystyrene and a ¾” exterior grade plywood surface for increased insulation. Dependable Installation. A strong cable support system makes installation efficient and accurate while decorative knee braces can be added for exterior support. Attractive Design. More rounded, curved design provides unique dimension inside and out. Create Your Own Look. 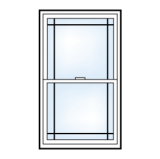 Use double hung, casement and picture windows in a 3-, 4- or 5-lite design to create your custom bow window. Custom Interior Look. Window head and seat boards can be finished with a variety of woodgrain or solid color laminate interiors or durable pre-finished wood to complement your décor. Unique Seat Board. Available in six colors, a solid surface seat adds character to your bow window. Premium Insulation. The 3″ thick seat board is insulated with high-density polystyrene and a ¾” exterior grade plywood surface for increased thermal performance. Dependable Support. A state-of-the-art cable support system makes sure the bow window is dependably installed, while decorative knee braces can be added for exterior support. Flush mounted cam locks close and seal the sash around advanced weatherstripping for excellent weather resistance. Chose Interforce II™ fiberglass reinforcement in the meeting rails on double hung and sliding windows for unsurpassed strength, durability and insulation performance. Upgrade casement windows with stainless steel hardware for corrosion protection in coastal areas. Rigid PVC vinyl offers superior strength and resists temperature transfer for increased efficiency and consistent interior comfort. Standard R-Core® insulation, a high-density solid polyurethane, fills the window mainframe to create a thermal barrier and enhance performance. This same insulation is used in many refrigerator and freezer doors. Impressive energy-efficient glass options help lower energy costs while keeping your home comfortable during any season, wherever you live. 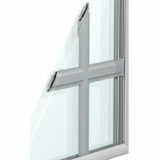 Precise, quality designs provide high-performing windows that are easy to open, close and lock. Welded construction, heavy-duty weatherstripping along with strong, interlocking components help keep wind and rain from your home. Choose the Interforce II™ fiberglass reinforcement in the meeting rails on double hung and sliding windows for unsurpassed strength, durability and insulation performance. Bold exterior colors, warm interior woodgrains, classic neutrals and earth tones allow you to accentuate your home’s design. Add charm and curb appeal to your home with custom designer glass, and a variety of grille profiles and patterns including v-groove cut glass. On operable windows, fiberglass mesh screen can be upgraded to a specialty screen for increased durability, solar control or optimal viewing. The Premium series windows come with a Limited Lifetime Warranty for as long as you live in your home. The warranty is transferable to the next homeowner, helping increase your resale value. Click here for complete warranty details. Bring thermal efficiency, privacy and tranquility to your home. Custom glass options mean Premium series windows can make a statement, make your home more comfortable, and help make noise go away. 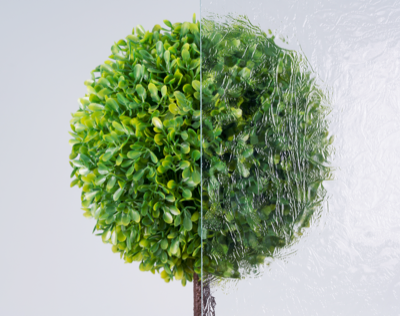 Choose Low-E glass packages that feature a transparent coating that helps deflect heat in summer and keep warmed air inside during winter for enhanced interior comfort. 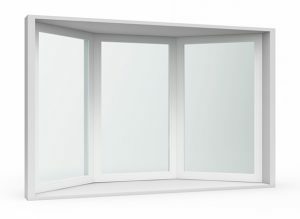 For added insulation, High Performance HP glass packages feature Argon gas, which is denser than air and sealed inside the insulating glass unit. For the ultimate in thermal efficiency, available HPMax triple-pane glass packages provide two separate insulating airspaces. Premium series windows can be ordered to meet ENERGY STAR® criteria for any climate zone. 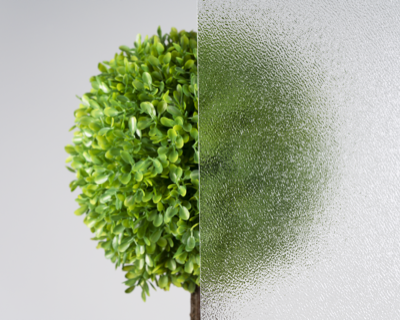 Laminated glass with a durable PVB interlayer delivers increased protection against forced entry. The Premium series offers acoustic glass packages that give noisy neighborhoods and busy streets the silent treatment. 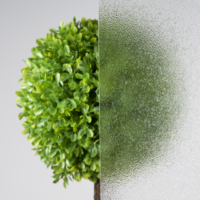 Acoustic glass packages and laminated glass greatly reduce unwanted sound from entering your home. Protect your home’s flooring, furnishings and artwork from the sun’s damaging ultraviolet rays with Premium series Low-E or laminated glass. Pattern obscure glass uses texture to maximize your privacy while allowing desirable sunlight into your home. 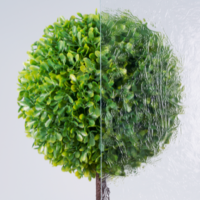 Available Easy Clean® glass uses the power of the rain and sun to help keep exterior glass surfaces clean Designer Glass Add character to your home with custom designer glass. Designed and crafted by hand, choose the distinctive glass design and caming color that will enhance your home’s unique style. Accentuate your home’s architectural design with Premium windows featuring distinctive grille profiles and patterns. Grilles between the glass provide a smooth, easy-to-clean surface, while Regal V-Groove patterns provide the look of traditional etched glass. Crafted to be both durable and beautiful, Premium series hardware offers streamlined designs that are color-coordinated. Learn more about how the Premium series can enhance your home and your life. Select literature below to download now.